Twelve organizations were announced today as the recipients of a new set of MacArthur five-year grants with a total value of almost $25 million. 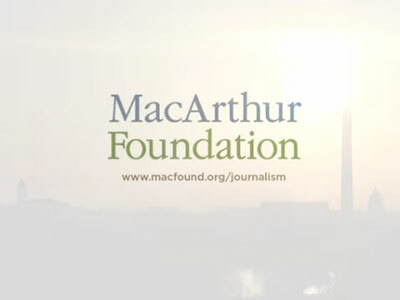 The grants are unrestricted, and intended to “strengthen and enlarge the ecosystem of independent journalism, enabling even more entrepreneurial work that makes available factual reporting, authentic stories, and diverse voices to help inform a robust public civic dialogue,” according to a statement from MacArthur president Julia Stasch. The Washington-based organizations getting a piece of the prize include NPR, which gets $4 million directed toward investigative and international reporting; American University, which gets $1.5 million for its Investigative Reporting Workshop; the Pulitzer Center on Crisis Reporting, which gets $2.5 million for its international enterprise work and the Center for Public Integrity, which gets $2 million for investigative reporting. The other award recipients are The Nation Institute, the Center for Investigative Reporting, The Foundation for National Progress, the Global Press Institute, Public Radio International, Round Earth Media, University of California, Berkeley Graduate School of Journalism and the WGBH Educational Foundation. Center for Public Integrity CEO Peter Bale noted in a statement the importance of having money dedicated to the unsexy but necessary area of “efficient and modern management” of non-profit news. “This support from MacArthur will help The Center for Public Integrity in its mission to become the most modern and impactful investigative journalism organization worldwide through Public Integrity journalism and the International Consortium of Investigative Journalists,” he said. For The Nation Institute, the award will help the organization continue to sustain its investigative work as well as “experiment with new media partnerships and forms of storytelling,” according to Nation Investigative Fund editor Esther Kaplan. Full disclosure: this editor was a former Nation intern.